A conflict of interest, whether patent or potential, is disclosed by the broker at the time or as soon as possible after the conflict arises. Typically, the conflict arises prior to providing a buyer with property information or taking a listing from a seller. an unwillingness of the broker or his agent to work with the opposing party, or others, or their brokers or agents in a transaction. Unfortunately, comprehensive rules do not yet exist which establish those instances where a conflict of interest arises and needs to be disclosed. Thus, brokers are left to draw their own conclusions when situations regarding a property or a transaction with or involving third parties arise. 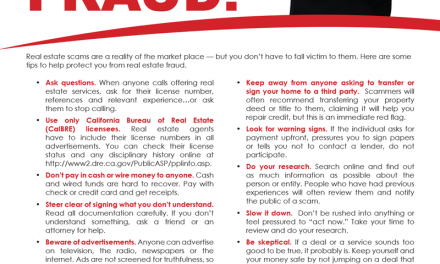 In practice, brokers, and especially agents, all too often err on the side of nondisclosure, putting their brokerage fee, if not their license itself, at risk. Fundamentally, a broker who becomes aware he has a conflict of interest but is reluctant to disclose it and seek the client’s consent should consider rejecting or terminating the employment with that individual. For example, a broker’s brother-in-law makes an offer to buy property the broker has listed. 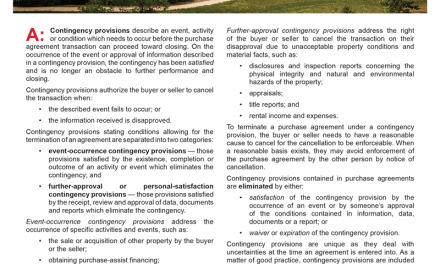 The purchase agreement states the broker is to receive a fee and that he represents the seller exclusively. The broker does not disclose to the seller that the buyer is his brother-in-law. The broker opens two escrows to handle the transaction. The first escrow facilitates the sale and transfers the property from the seller to the broker’s brother-in-law. The second escrow is for the sole purpose of transferring title to the property from the brother-in-law to a limited liability company (LLC) in which the broker holds an ownership interest, a syndicated acquisition. Both escrows close and the broker receives his fee. The seller discovers the buyer to whom he deeded the property was his broker’s brother-in-law and that the true buyer was an entity partially owned by the broker. The seller demands a return of the brokerage fee claiming the broker had a conflict of interest which breached the fiduciary duty he owed to the seller since it was not disclosed and the seller did not consent. Here, the broker is not entitled to retain the brokerage fee he received from the seller. Further, the seller is entitled to recover any property value at the time of the sale in excess of the price he received, or he can set the sale aside, due to the failure of the broker’s agency with the seller. Also, a seller’s broker has an affirmative duty to disclose to the seller his agency or other conflicting relationship he might have with the buyer, even if the seller fails to inquire into whether the broker has a relationship with the buyer. The broker arranges a sale of the property to his daughter and son-in-law. The seller is not informed of the broker’s relationship with the buyer. On the close of the transaction, the broker receives his fully disclosed brokerage fee as the net proceeds remaining from the sale in excess ofthe net listing price. On discovery of the broker’s relationship with the buyer, the seller demands a return of the brokerage fee claiming the broker’s kinship with the buyer is a conflict of interest which was not disclosed, violating the fiduciary duty he owed to the seller. The broker claims the seller cannot recover the brokerage fee no matter who the buyer was since the seller only bargained to receive a fixed amount on the sale of his property under the net listing agreement. A selling broker employed to act on behalf of a buyer will disclose to his buyer the nature and extent of any direct or indirect interest he or his agents hold in any property presented to the buyer. For example, a licensed broker acting as an agent on behalf of a buyer shows the buyer several properties, one of which is owned by the broker and others, vested in the name of an LLC. The broker promptly informs the buyer he has a listing on the property, but does not inform the buyer of his indirect ownership interest in the property. The broker, aware the buyer will pay a higher price for the property than the initial price offered by the buyer, presents the buyer with a counteroffer from the LLC at a higher selling price. The buyer accepts the counteroffer. Here, the broker has a duty to promptly disclose his ownership interest in the property to his client the moment the conflict arises – the exposure of the buyer to the property. The conflict of interest in the broker’s ownership is a material fact requiring disclosure since the client’s decisions concerning acquisition of the property might be affected. As a result of the lack of disclosure of the conflicting position of the buyer’s broker, the buyer can recover the fee received by the broker and the increase in price under the counteroffer. Had the buyer known the broker held an ownership interest in the property when it was first presented, he might have negotiated differently when setting the price and terms for payment, or retained a different broker to represent his interests who was not compromised by a conflict of interest. When a broker-seller receives a brokerage fee on the sale of his own property or on the purchase of property for his own account, he subjects himself to real estate agency requirements. For example, a broker sells a residence he owns which exists in violation of safety requirements for occupancy due to defects in the foundation known to the broker. The broker does not tell the buyer about the foundation defects. Out of the proceeds the broker receives on closing the sale of his property, the broker-seller pays himself a brokerage fee, claiming to exclusively represent himself (which is not an agency and does not require a license). The buyer later discovers he must demolish the residence and rebuild it with an adequate foundation. The buyer obtains a money judgment against the broker for breach of his general agency duty owed to all parties in a real estate transaction to disclose known property defects that cause the buyer to take a loss. A DRE licensee acting solely as a principal on his own behalf when buying (or selling) property need not disclose the existence of his real estate license. The licensee has no conflict due to the existence of his license since he is not holding himself out as a broker or agent acting on behalf of anyone in the transaction. Consider a broker who is employed by an owner to arrange a real estate loan. The lender making the loan is the broker’s sister. The broker, however, funds the loan himself by depositing his personal funds into his sister’s account. In essence, the broker is the lender. A potential conflict of interest also exists when a broker manages multiple LLCs which own like-type properties in the same market area, the result of his syndicating the acquisition of several properties. For example, consider a broker entrusted with managing two investment groups which own similar apartment projects located within the same market and compete for the same prospective tenants. The broker is paid a management fee by each investment group based on a percentage of the rents received. When contacted by a prospective tenant, the broker is initially faced with the dilemma of which apartment building to refer the tenant to and thus which investment group will benefit from the tenant’s occupancy. A similar conflict of interest results from parallel transactions in which multiple LLCs managed by the same broker are actively competing to sell or buy property within the same marketplace. With this disclosure, the broker’s allegiance to multiple projects and investment groups is transparent and can be taken into consideration by all investors at the time they receive the Investment Circular from the Broker – before investing and consenting to the risk. A broker and his agents acting on behalf of a client may not act in a manner which might cause the client to conclude that other individuals, or a position held by the broker or his agents, can improperly influence or cause the broker or his agents to fail to properly act in their fiduciary capacity as the client’s agent without first disclosing to the client the facts which might lead to that conclusion. The following instructions are for the preparation and use of the Conflict of Interest Disclosure, first tuesday Form 527. Form 527 is used to disclose any potential biases in favor of the opposing party or others a broker may have which compromises his ability to fully represent and give proper care and protection to the interests of his client. Editor’s note – Check and enter items throughout the agreement in each provision with boxes and blanks, unless the provision is not intended to be included as part of the final agreement, in which case it is left unchecked or blank. Enter the date and name of the city where the disclosure is prepared. This date is used when referring to this disclosure. 1. Type of agreement: Check the box to indicate which type of agreement this disclosure is made in connection with. 1.1Check the box to indicate the disclosure is made on the same date as the previously checked agreement or if different, enter the date and city set out on the referenced agreement. 1.2– 1.3 Enter the names of the parties to the agreement and what positions they hold under the agreement. 1.3Enter the address of the real estate involved. 2. Client(s) represented: Enter the name(s) of the client(s) represent by the broker or agent making this disclosure with regard to the above referenced agreement. 3. 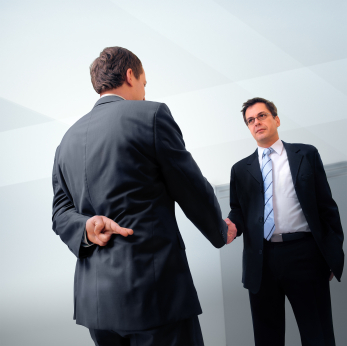 Conflict of interest: States the following information is a disclosure to the broker’s client of relationships or positions held by the broker, his agents, family members, or business associates which present circumstances that might appear to be in conflict with the agency duty owned to the client. 3.1 Real estate: Check the box to indicate the conflict of interest arises out of the ownership of real estate. Enter the property type, address, and interest held by the broker, his agents, their kin, or business associates in the property. Enter the activity creating a possible conflict. 3.2 Government agency: Check the box to indicate a position held in a government agency by the broker, his agents, kin, or business associates which might constitute a conflict of interest. Enter the agency name and the position held by the broker, his agents, their kin, or business associates. Enter the activity creating a possible conflict. 3.3 Business position: Check the box to indicate a business position held by the broker, his agents, their kin, or business associates which might constitute a conflict of interest. Enter the business name, the goods or services provided by the business, and the position held by the broker, his agents, their kin, or business associates. Enter the activity creating a possible conflict. 3.4 Business investment: Check the box to indicate a business investment of the broker, his agents, their kin, or business associates which might constitute a conflict of interest. Enter the company name, type of trade or business, and the interest held by the broker, his agents, their kin, or business associates. Enter the activity creating a possible conflict. 3.5 Representation of others: Check the box to indicate the broker’s or his agent’s representation of others in or servicing the transaction which might constitute a conflict of interest. Enter the name of the person who is also owed an agency duty and the activity creating a possible conflict. 3.6 Kinship and employee relationships: Check the box to indicate an employee of the broker or a relative of the broker or his agents is the conflict of interest. Enter the name of the individual(s), their relationship to the broker or an employee, and the activity constituting the conflict. 5. Broker certification: States the information entered into the form is true and correct to the best knowledge of the broker and the agent. Enter the date the disclosure is signed and the name of the broker. Obtain the signature of the broker or his agent who is representing the client in the transaction. Enter the name of the agent representing the client on behalf of the broker in the transaction or leave it blank if no agent is involved.